If you watch Jørgen Leth’s great documentary about 1973 Giro d’Italia, “Stars and Water Carriers” (Stjernerne og vandbærerne), you may remember Merckx-Battaglin battle at stage 8 on Monte Carpegna. On one of the early climbs of the day, Eddy Merckx escaped bringing Spanish climber José Manuel Fuente (KAS) and the young Italian Giovanni Battaglin (Jollj Ceramica) along for company. Foolishly, Fuente took his pulls with the powerful Belgian and after having burned his matches, was spit out the back. 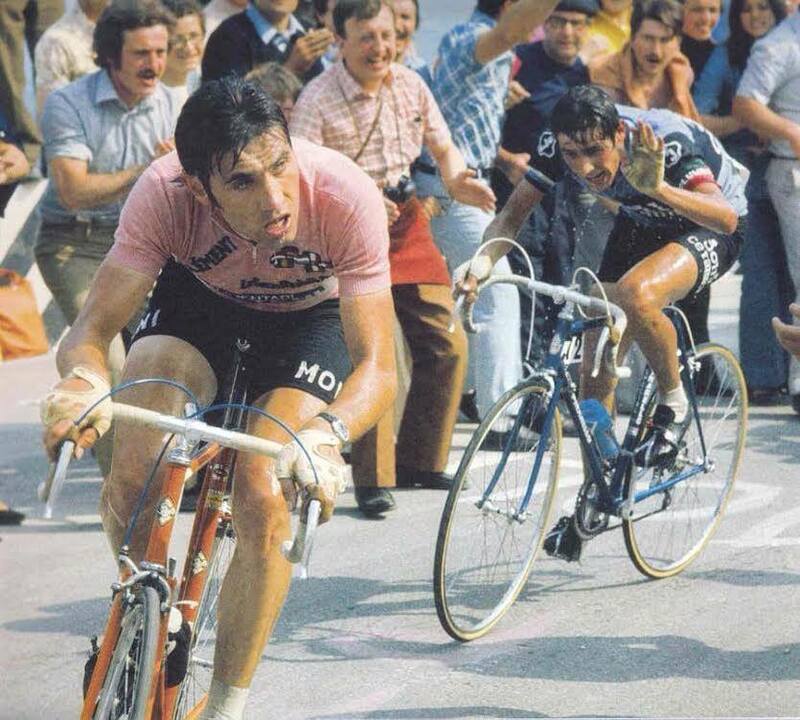 Then Merckx and Battaglin sped over the hills and they distanced themselves from the peloton. Merckx tried to drop Battaglin, attacked on every occasions, but for a long time, wasn’t able to lose his young Italian companion. 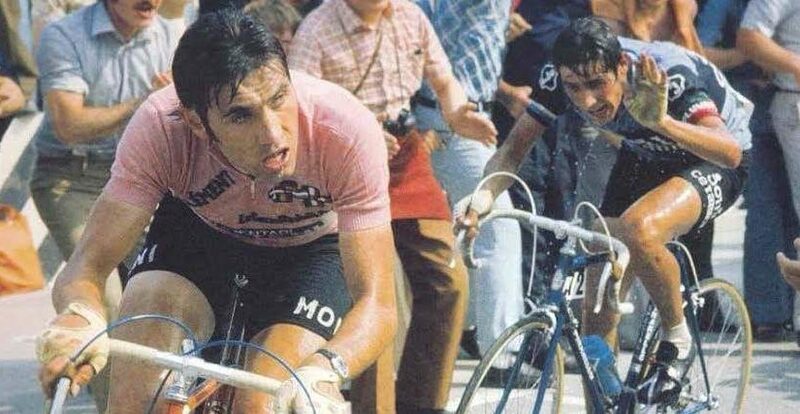 Finally, Merckx dropped Battaglin, and raced into Monte Carpegna 45 seconds ahead of him and more than four minutes ahead of the first chaser, Italo Zilioli. And Fuente? He finished the stage with painful cramps in his legs, lost 17 minutes to Merckx. He was in such a bad state, he thought he needed a doctor. Fortunately, he was fine and the next morning was fit to start the next stage, but his overall chances were over.